***Promo / Whitelabel only*** "Sinister" kicks off in ominous fashion with broody technoid synthwork and a muscular bass workout. Drums are formed into a wriggling 2 step rhythm retaining their explosive impact with a neck snapping wood block crack. Here Seven proves why he’s one of the most varied beat makers out there. On the flip is 'Abduction', a more traditional dub-floor workout. Creepy Sci-Fi samples cue up a Lightsaber bass excursion, only Seven’s impeccable drum-work could hold back the torrents of tidal low-end. A classic Seven darkout! 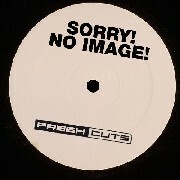 Support: Youngsta, N-Type, Breakage, Hatcha, Chef.